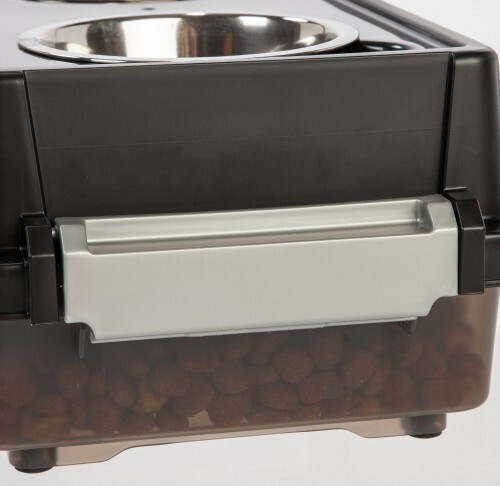 IRIS elevated pet feeder is an innovative concept of elevated feeder and airtight food storage all in one. 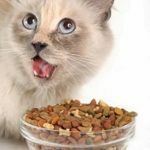 Raised food improves pet digestion and reduces muscle tension when eating, so it promotes healthy eating for your pets. 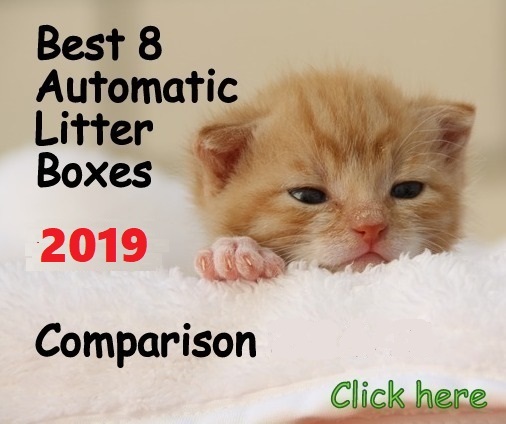 This elevated feeder makes the feeding process a very convenient duty, with the airtight storage right below the feeding area. 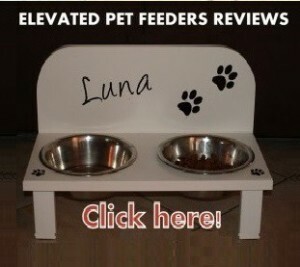 The feeder is perfect for camping or trips as well. The unit is made from durable BPA free plastic and it comes with non-slid rubber feet to protect floors. Small (1-Pint), ideal for cats and small dogs. Dimensions are 9.3D” x 17.4W” x 5.9H” and it has a storage capacity of 5 pounds. 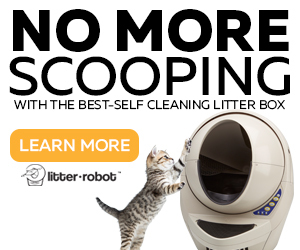 It comes with two 2-cup capacity bowls. Medium (1-Quart), good for medium size dogs. 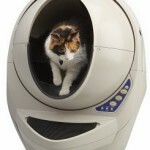 Dimensions are 14.2D” x 21.5W” x 14.9H” and it stores up to 13 pounds of dry food. Includes two 4-cup capacity bowls. Large (2-Quart), suitable for large and X-large dogs. Dimensions are 14.2D” x 21.5W” x 14.9H” and its storage capacity is 47 pounds. It comes with two 8-cup capacity bowls. 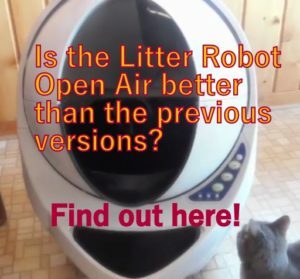 This particular review is for the small size (1-Pint) suitable for cats. Elevation in food promotes healthy eating. It helps to reduce muscle tension when eating. 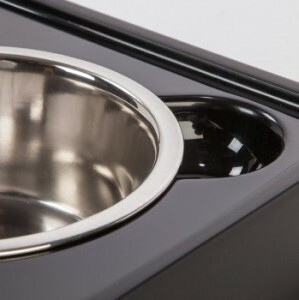 Includes two 1-pint stainless steel bowls. Airtight storage capacity up to 5 pounds. 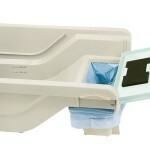 Storage and feeding solution all-in-one. It comes with non-slip rubber feet to protect floors. Can be used indoors or outdoors, on camping or trips. 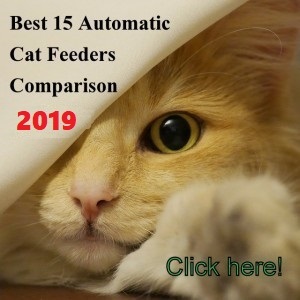 What are the Pros and Cons of IRIS Elevated Pet Feeder for Cats? Practical design of elevated feeder and food storage all in one. Convenient feeding task with the food right below the feeder. It saves space in your kitchen. Raised edges on top keep most of the food on the feeding platform instead of the floor. Non-skid rubber feet help the feeder to stay put and protect the floor. 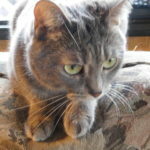 Good height, cats don’t have to bend over too much to eat. Food storage it is airtight, underneath the bowls there are no holes. Storage box allows you to see when it is time to refill the container. You cannot refill the food by lifting the bowl, you have to unlatch and open the lid. Bowls do not lock into place. 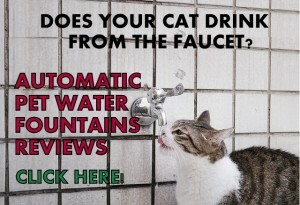 If your cat is a very sloppy drinker, the top accumulates water. The storage box is airtight but you have to make sure to seal the lid properly every time you close it. The lid might not seal at the first try so make sure to put it in place to get the lid 100% sealed. 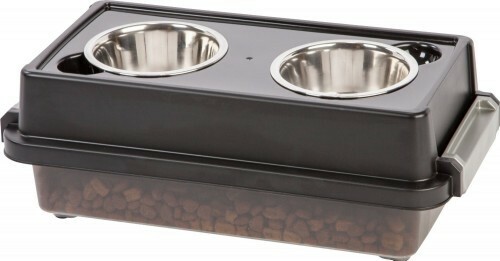 To refill the food bowl, simply open both latches, take the top off with the bowls on it carefully and refill. It is a good idea to wipe the top every day to avoid any bacteria formation because some water tends to go underneath the bowls. The lid has to be removed every time you want to refill the food bowl. Do this before pouring water in the other bowl. For small houses and apartments. 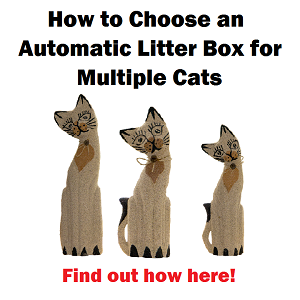 For cats that know how to pull things out with their paws.